a “pulled groin,” is caused by forceful external rotation of an abducted leg. 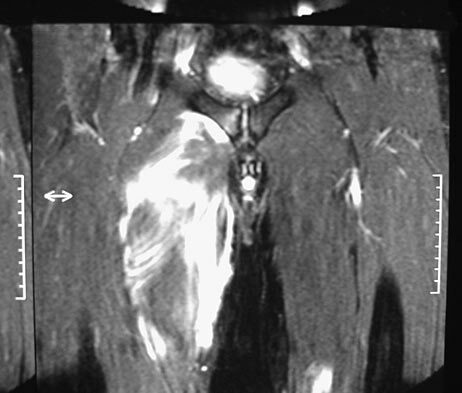 pain is immediate and severe in the groin region. tenderness is at the site of injury along the subcutaneous border of the pubic ramus. may show avulsion injury of the adductor muscle from the pubic ramus with muscle edema and hemorrhage. no data exist to suggest that open repair yields a better outcome than nonsurgical management. 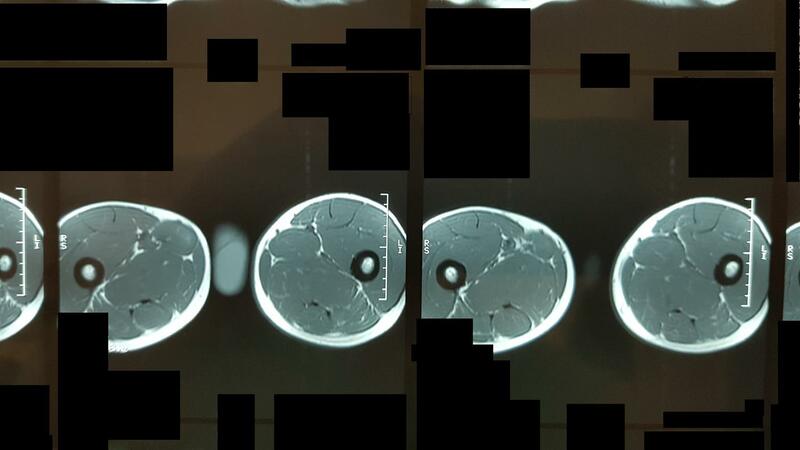 HPI - Patient with pain in his groin for 6 months. He has abnormal gait pattern. Pain on his groin when adducting his thigh with a bump. He had done physical therapy with poor results.